Gracious living in an attractive location should not just be an aspiration. 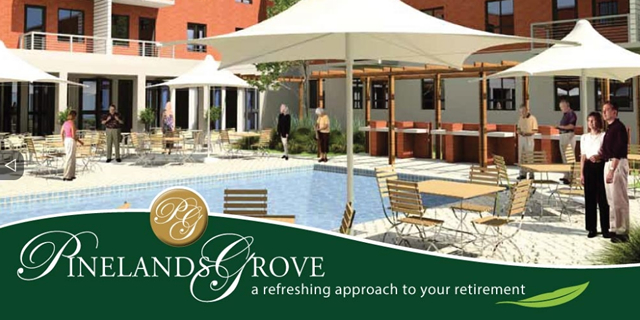 At Pinelands Grove Retirement Village your desire becomes reality. Nestled into the leafy suburb of Pinelands with the majestic Table Mountain as backdrop, healthy living and wellness in a safe, secure environment has been uniquely created for you. A new standard of retired living comes to life in a vibrant community establishment. Here you can enjoy the finer elements of life.